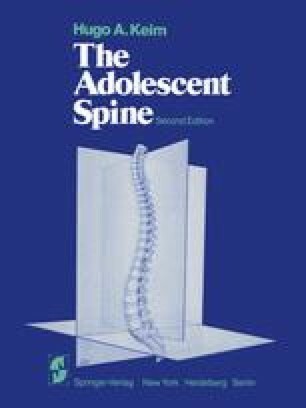 A child’s spine is different from the adult’s in several aspects: there are open growth plates; the spine has greater flexibility and the discs are stronger than in the adult; the ligamentous structures are relatively stronger than the bony elements. The three primary centers of ossification of each vertebra are separate and distinct, and this may present a problem in diagnosis. At age two years the laminae begin to fuse posteriorly, beginning in the lumbar region and progressing cephalad to the cervical area. Beginning at age three years, the posterior elements fuse with the body. The remaining secondary ossification centers appear at puberty and do not fuse until age twenty-five.